Full Disclosure: I have financially backed Micro Mages on Kickstarter. German studio Morphcat Games has successfully funded their ambitious co-op action platforming game, Micro Mages, on Kickstarter. The love-letter to old action-platformers is now getting a physical release on the original Nintendo Entertainment System (you read that right), as well as digitally for Windows PC as a ROM (to play with emulators). Featured above, you can view a trailer for the game. 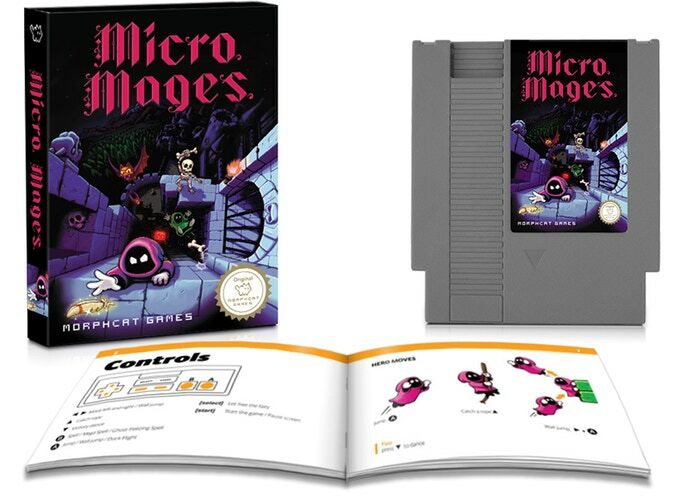 Unlike several other Kickstarter campaigns for video games, Micro Mages is actually completely finished – Morphcat is simply raising money to produce the cartridges, boxes, and manuals for the game’s physical release. It’s worth pointing out that to enable four player cooperative play, you’ll need a FourScore or Hori controller adapter, as the original Nintendo Entertainment System or Famicom had only two controller ports. If you’re looking to get your hands on a physical NES cartridge or ROM version of the game and missed out on the Kickstarter, Morphcat is planning to have pre-orders for the game before its release.